Last summer, I reviewed the book Edwin: High King of Britain. 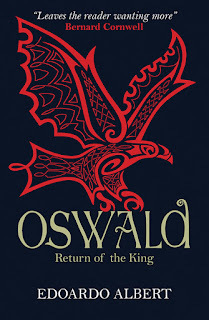 Oswald: Return of the King by Edoardo Albert is the second book in The Northumbrian Thrones series. A point I made in the review of the first book that is relevant again is that Edoardo Albert is a historian and a journalist, and this series does reflect both of those careers. The second book in The Northumbrian Thrones series follows the young prince Oswald as he seeks to regain the throne taken from his family by Edwin. The exiled family of King Æthelfrith of Northumbria arrive, after much hardship, on the island of Iona, where the monastery founded by St Columba has become a center of worship and learning. Amid the violence and turbulence of Dark-Ages Britain, the island appears a sanctuary to the hunted princes and Oswald, having become firm friends with a novice named Aidan, enters the church along with his younger brother, Oswiu. As befits a young prince, Oswald learns to fight and soon becomes renowned for his courage, earning the title Lamnguin, the Whiteblade. However, the peace of Iona leaves Oswald torn between becoming a monk or returning to Northumbria to reclaim the kingdom that is rightfully his. When news reaches Iona that his half-brother, Eanfrith, has been killed by Cadwallon, the king who defeated Edwin, Oswald sails back to Northumbria and meets Cadwallon in battle, defeating and killing him. For school for my kids, we are just starting to learn about the Middle Ages. This is still a time period I don't know much about, so I can't really comment on the historic accuracy of the book, but wow, it sure feels like it is incredibly well researched, and like the details are realistically fleshed out. The toughest part of this book, which is obvious in the description above, is that the names are really challenging for normal, everyday Americans. In the very necessary Dramatis Personae at the beginning of the book, in addition to the crazy names above, you have names like Rhieienmelth, Ecgric, Cyniburh, and Hwyel. Even with a little pronunciation guide, I just cannot get these names in my head. My absolute favorite part, though, was the historical note at the end. I was laughing out loud at parts of it, and nodding my head with a "that makes sense!" at other parts. And his discussion of J. R. R. Tolkien's influence on Anglo-Saxon studies was particularly fascinating. 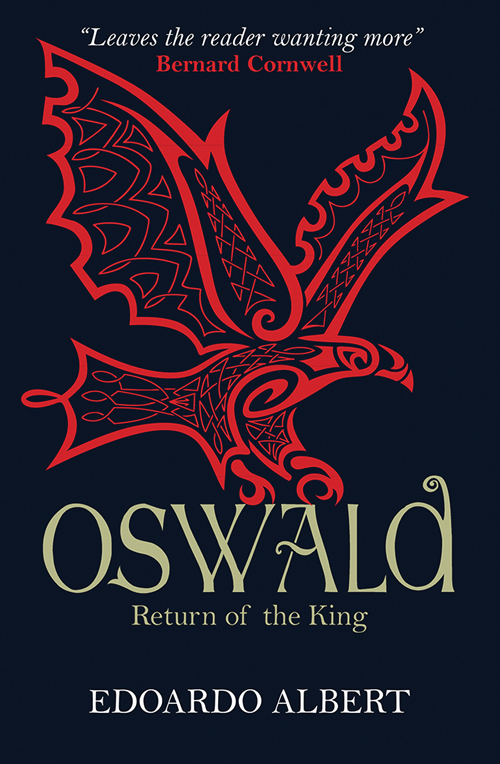 Tolkien wrote about Oswald, and the similarities between Aragorn and Oswald are clear, and are the reason Albert chose the title he did for this book. Oswiu: King of Kings will be the third in this trilogy.